Thick, long lashes are often associated with beauty and youth, which is why they are so sought after. Women have been working to turn the clock back for decades with mascara and makeup to achieve the look that sultry lashes create. Unless you were fortunate enough to be born with and maintain desirable lashes, until recently, endless tubes of mascara was your only option. The artistry of lash extension has changed all of this. 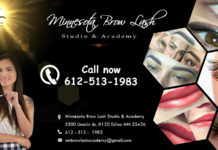 In addition to permanent makeup training and our sought after microblading permanent makeup training, we offer courses on becoming an expert at lash extensions. Clients love the look. You will need a bin to keep the tubes of mascara they will undoubtedly want to toss into the trash bin like last month’s cable bill. Clients will rave about how great it is to awake looking refreshed and pulled together with their lash extensions. Their days of having their mascara come off while swimming or showering will be over. 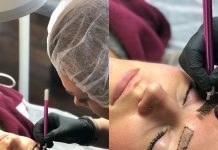 One of the most common benefits we hear of from lash extensions is how clients save time and money better spent elsewhere, rather than applying coat after coat of mascara. Fills are necessary, which gives you a wonderful opportunity to really build relationships with your clients. 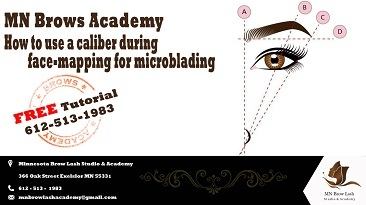 As a student of the Minnesota Brow Lash Studio and Academy you can also become an expert artist with a variety of permanent makeup services, further expanding what you can offer your clients. 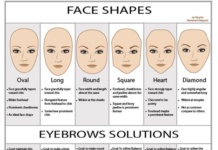 Lash extensions and permanent makeup save time and money in the long run. Time and money your clients can spend pursuing their true passions and goals, while looking and feeling fabulous. 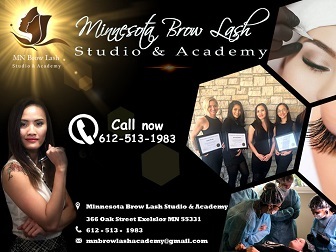 Students come to our academy in Minnesota from all over: Wisconsin, Iowa, North Dakota, South Dakota, Nebraska, Colorado, Missouri and beyond. 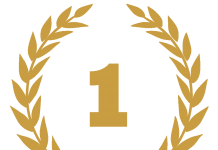 What they share is a desire to launch a career that helps individuals feel and look their best.